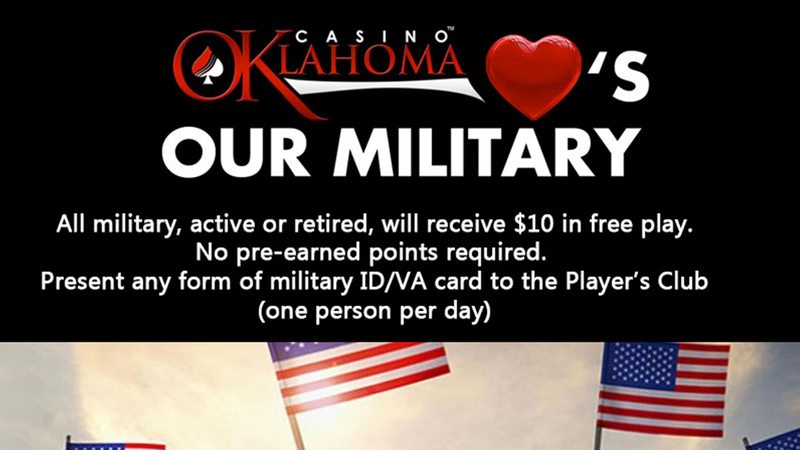 Casino Oklahoma loves our military. Join us the first Tuesday of every month for our Military Appreciation Day. Offer is valid from 8:00 AM to 11:59 PM. Qualified members show proof of military service, active or retired – ID or DD214. Receive $10 in Free Play with no pre-earned points required.